Two Northern Kentucky events will provide community leaders and citizens the opportunity to find out more about the Answers in Genesis theme park, the Ark Encounter, currently under construction in Williamstown. 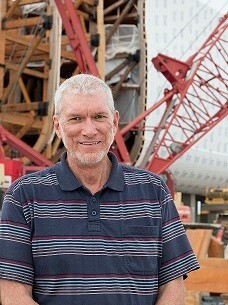 Answers in Genesis president and co-founder Ken Ham will speak at the Northern Kentucky Chamber of Commerce Eggs ‘N Issues event on Oct. 6. Ham will provide an update on the rapid construction of the massive Ark Encounter project ($90 million in phase 1) and share the economic impact the historical theme park should have when it opens in late summer 2016. The 7:30 a.m. breakfast, which is open to non-Chamber members, takes place at the Receptions Banquet Center in Erlanger. Pre-registration is necessary. On Sunday, Oct. 18, Ham will speak at Williamstown Baptist Church at 6:30 p.m.